I’m one for trying something new and changing it up, but I also like to stick with what I know. Several years ago, after complaining about the harsh fumes of cleaning products, a health-conscious friend of mine gave me a bottle of Method all-purpose cleaner, and I’ve never looked back. To this day, I still love the fresh lavender scent and that I don’t have to hang my head out the window gasping for air or blow my nose over and over as I clean the bathroom. I also like how easily it rinses clean without any streaks (unlike so many other natural cleaning products). The fact that it isn’t having a negative impact on the planet as it washes down the drain gives me peace of mind. For these reasons, Method products are on my “stick with what you already know and love” list. 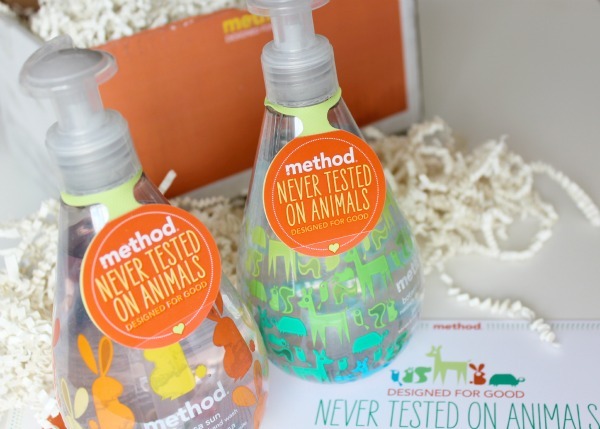 What I didn’t already know is Method products are pet and animal friendly too. The company performs absolutely no animal testing on any of their products and does not endorse, request or commission any animal testing on their behalf. They’re even CCIC Leaping Bunny Program approved. They also don’t put any animal by-products in their products. That’s dirty. They use innovations like renewable plant-based formulas which are 100% gross-stuff-free. Method’s entire product line is safe for use around pets, specially formulated to put the hurt on dirt without harming a hair on you or your pets’ head. Although I’ve talked about our family dog Reegan from time to time, I’ve never shared a picture of her or told you how big of a role she’s played in our family. After fertility issues meant our son would be an only child, we decided getting a dog would be a good idea, as he truly loved animals. At first we joked about her being his sister, and my parents even called her their grand-dogger. What we didn’t realize is how much she would truly become part of the family, enriching our lives and bringing joy and laughter (and a lot of barking and nuisance!) to our household. 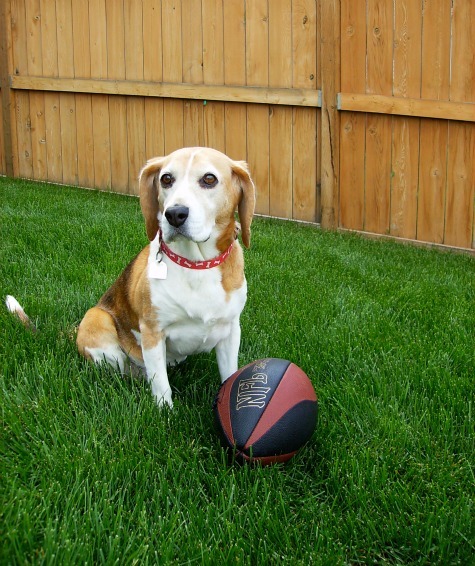 Almost 12 years have gone by with our beagle and she’s no longer the bundle of energy she once was, as she’s really showing her age. Keeping her as healthy as we can is a top priority around here. As my son graduates this year, I look back and appreciate the companionship and unconditional love she has given to him. That’s just what animals do! Method contacted me a few weeks ago and asked if I’d like to be part of their Designed for Good (And for Bunnies) campaign, and I said “Yes!” without hesitation. They believe (and I do too) that guinea pigs should never be used as guinea pigs. Their newest designed for good hand wash duo tells this story, and, they hope, helps raise awareness for the fair treatment of animals. As always, the naturally derived, biodegradable formulas are 100% vegan + cruelty-free. Luckily for me, they even sent a couple of these super cute soap bottles to try. Method soap smells totally divine (think soft botanicals and fresh orange) and leaves your hands feeling refreshed! To further support the cause, Method and Soap[dot]com are teaming up to donate 15% of Method product sales on Soap[dot]com in June to the ASPCA®, whose mission is to provide effective means for the prevention of cruelty to animals throughout the United States. Use the code PAWPRINT at checkout to receive 20% off your purchase. This offer is only available to first time Soap[dot]com customers. These limited edition soaps will also be available at grocery stores nationwide in the US and Canada. Have a pet of your own and want to help raise awareness? Enter the Pet Photo Contest! Step 1: Take a photo of your adorable pet. 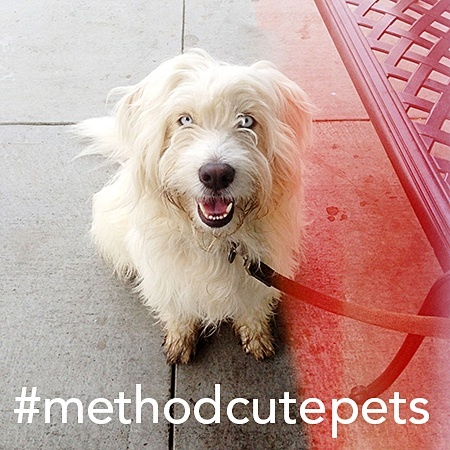 Facebook: Find the ‘pet photo contest’ tab on Method’s Facebook page and follow the instructions on the tab for uploading your photo. Enter the Facebook contest via desktop or mobile. The contest will begin on June 11 and end June 30, 2013. Method will select one winner each week to receive the two “designed for good” soaps and a $50 gift card to Soap[dot]com. NOTE: Only residents of the US and Canada (excluding Quebec) are eligible to win. Disclosure: I was compensated for writing this post, as well as given free soap to review. All opinions are my own- as always! Your dog is adorable and I love Method soap. They have very good smelling soap and great designs for their bottles! Love the bottle designs. I think I might have to send in a pic of our dog Arthur! Thanks for sharing. Reegan is adorable. 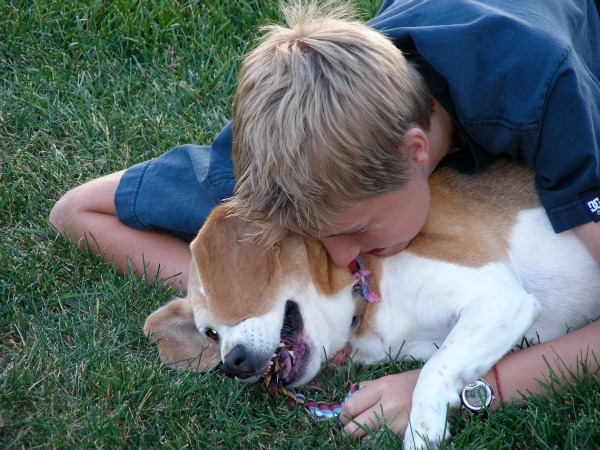 I have a soft spot in my heart for Beagles. I had one growing up. He was such a sweet boy! Yay for Method! Shauna, you are so right about getting the chemicals out of our homes! The problem is that you still need to get your place clean. I love Method for that – you can accomplish both. Thanks for posting. I’m not crazy about cleaning the bathroom, but I swear the lavender scent calms me as I work! I use Method! I like their Sea Minerals hand soap, what a nice smell! I don’t have a pet to submit but will pass this on to my friends – thanks Shauna! Using animal-safe products that aren’t tested on animals is really important to me. There’s an eco store that opened not far form me that sells only eco-friendly products. The ones I’ve tried so far are great, and it makes me feel better knowing I’m not endangering my dogs or the environment. You should check them out. I’ve never been disappointed with any of their products. Your pup is SO adorable…and you can totally see in your pics how much she means to your family. And I also love Method hand soap and cleaning products. I usually just use vinegar and water to clean, but when I need a bit of oomph I buy method. 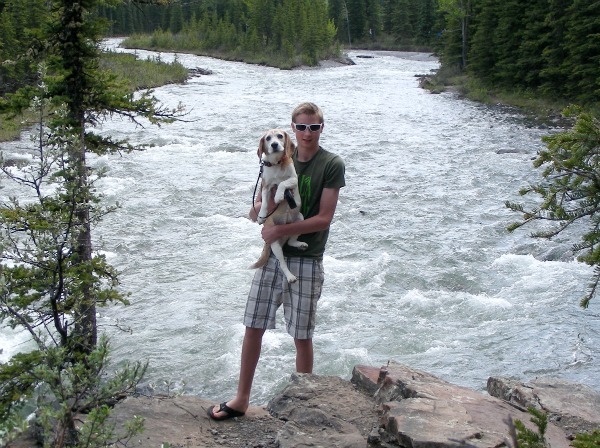 I have Method soap in every washroom in my house so I am a fan….and its great to hear that they are a firm supporter of pet friendly products. As a new owner to a puppy myself (a yorkie) its hard to imagine anyone being cruel to a pet so any way we can support this cause is amazing. It is very difficult to imagine. Congrats on the new addition to your family. He/she will bring a lot of joy (and probably some not-so-pleasant times if you know what I mean) to your family! I’ve been on the Method bandwagon ever since they started up. I would stock up on products when we were in the States and bring them home. I was very happy when they came to Canada. I love this post, the pics of Reegan and Hayden are so awesome! I will have to enter a pic of my boy Finn into the contest! It was Marleen who first introduced me to Method back in my days at GL. You should totally enter Finn! How is he these days?